Systems Integration is the process of integrating all the physical and virtual components of your system into one single system. The physical components consist of all various machine systems, computer hardware, and inventory; and the virtual components consists of data stored in your databases, software, and applications. 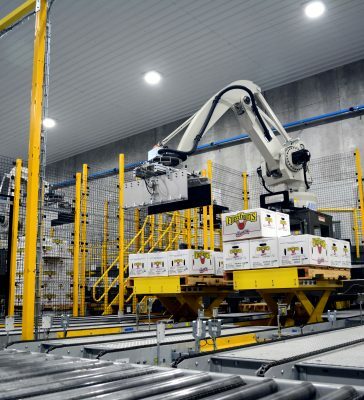 Businesses look at systems integration for better automation of their facility, improving safety and efficiencies, and making facilities more competitive to positively impact the bottom line. Selecting a partner for the integration process is one of the most important investment decisions to make, other than the initial decision to invest in flexible automation. Building this type of sophisticated machinery is a complex task and knowing the people you're placing your trust and investment dollars with is worth the time of research and face-to-face meetings. Is the integrator up on all regional/global safety standards to make sure all employees work in a safe environment? A reliable company should be able to speak to the latest safety requirements and expectations in your region and globally. They should be forthcoming with their safety records, and they should know which supplier’s equipment meets all requirements. Is the integrator well versed in flexible solutions that are specific to their clients? Any supplier you select should be able to provide suggestions that will lead you to a more efficient layout. If they do not have the expertise you need in-house they should be ready and willing to collaborate to ensure you achieve the desired results. How long has the integrator been in business? Will they still be around after the project has been installed? It is essential to understand the stability and past of any business you look to invest with. Knowing the company will be around to offer support, and this is something they do willingly with 24/7 telephone and technical support, could be vital if you have any issues. From the start, you should have a Project Manager appointed to your account. Having a knowledgeable single point of contact will be paramount to achieving your results and getting answers promptly. The Project Manager will be essential for communication, ensuring the integrator has a clear understanding of your project goals and your business. It is also likely you will be working with this person and integrator for many months or years to come. Make sure your values and company cultures align enough to maintain a lasting relationship.